Are you looking for some inspiration to elevate your summer wedding or event? Look no further. 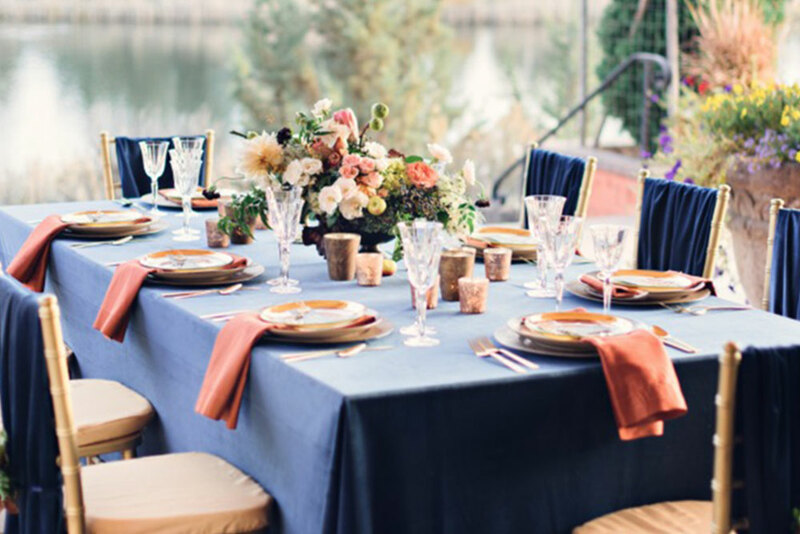 We have put a short list of outdoor wedding trends and ideas together that are sure to leave your guests talking about your wedding for years to come. Black has always been a classic choice in fashion but it is becoming increasingly popular in interiors and event design. 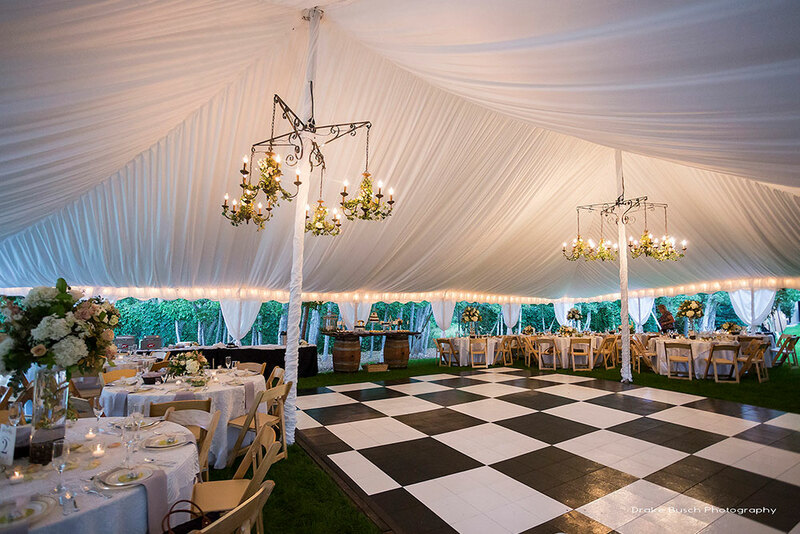 Consider a black and white dance floor to add an unexpected pop of pattern to your wedding. Add black and white striped napkins to carry the theme throughout your table décor. Even the most classic of weddings can add some drama with a few black accents. Bring the beauty of the outdoors in – literally! Long gone are the days of the standard white tent top. 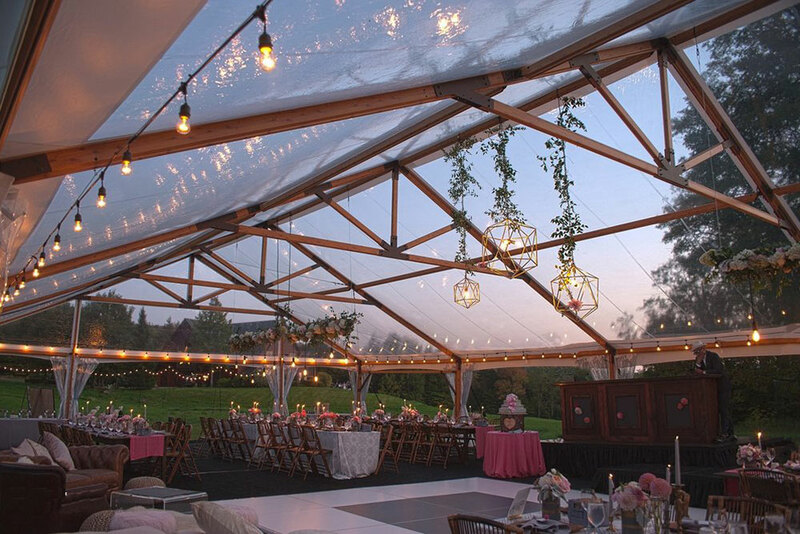 With our transparent tent tops you will enjoy the benefits of natural light, beautiful mountain or tree lined views, and you’ll dance under starlit skies! Benson Tent Rent is the only rental company in Colorado with the new Timbertrac Tent. It creates a lodge like setting that’s perfect for your mountain wedding, and with the clear top, you won’t miss a moment of those gorgeous Colorado mountain views. Incorporate hanging florals to create a romantic setting with a hint of whimsy. Ask us today about custom design options. We can work directly with your florist for a designer look, or our staff can create something for you with our top of the line artificial greenery. It’s all about the lighting! Create the romantic mood you’re after with layered lighting. 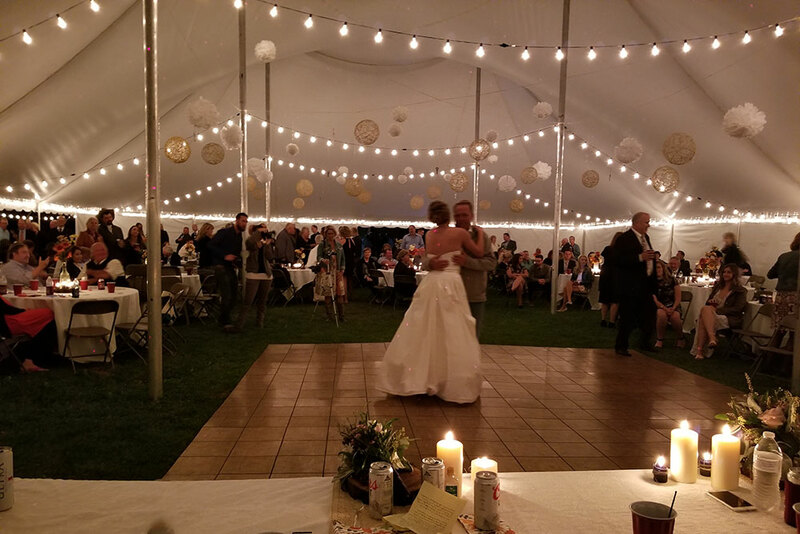 Chandeliers, market lights, and uplighting can be customized to your theme and will bring a sophisticated look to your special day. All of our lights are dimmable so you can adjust the lighting from dinner to dancing! Velvet is no longer just for fall and winter months. Think napkins, cascading runners or velvet bows to tie back your billowing cocktail table linens – oh so romantic! Let’s start designing your dream wedding today!